Components have traditionally been discrete packages that are constructed from materials and pieced together. For example, carbon film resistors consist of a controlled amount of carbon and impurities compacted into a casing with a pair of component leads attached. Integrated circuits are devices that are created layer by layer, cut into individual dies, placed into IC packages and then wired up to their respective pins. But there is growing interest in 3D printing technologies which have the potential to replace many electronic components. 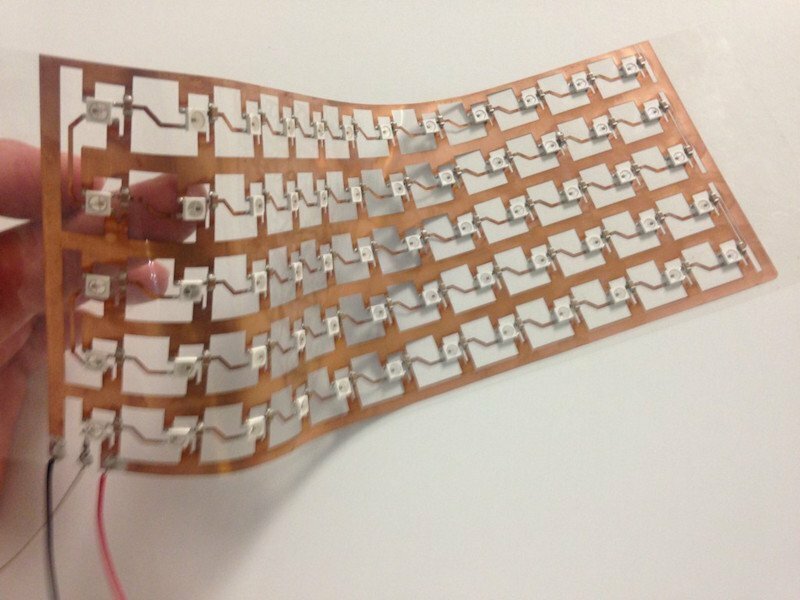 Printed Electronics (UK) flexible fabric with LEDs. Image courtesy of Printed Electronics Limited. 3D printing (also known as additive manufacturing) actually dates back into the 1980s where experiments were done using UV light and photo-sensitive resins. During this time, just about every form of part machining was done with subtractive methods which involve removing unwanted material from a workpiece (for example, making a sculpture from a block of marble is done by removing unwanted material). However, it would not be until the early 2000s when 3D printing of parts started to become a real alternative form of manufacture. With the rising success of 3D printing technologies, the increase in appeal, and lower costs in parts such as stepper motors and controllers, it is no surprise that printed electronic components are becoming a reality. Read Full Article: Are 3D-Printed Electronic Components the Real Deal?